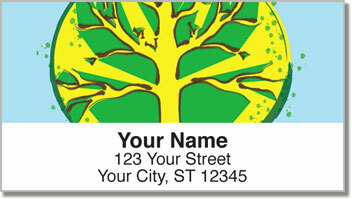 The Tree of Life is a powerful symbol used to illustrate how all living beings on our planet are connected. That sacred metaphor is beautifully illustrated on this unique selection with brilliant branches stretching out across four colorful backgrounds. 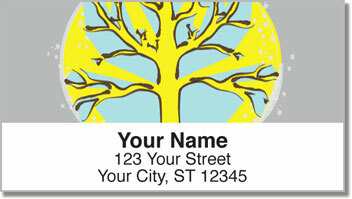 Let this design remind you of your own relationship with the world around you. 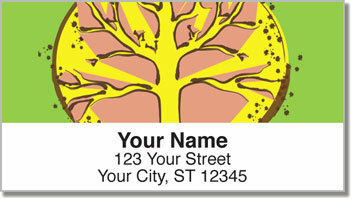 You'll love how these artistic address labels make your mail look. But you'll also be pleasantly surprised at how much time they can save you. A helpful, self-adhesive backing lets you simply peel and place one on each envelope instead of scribbling out a return address. Make our Tree of Life Address Labels yours right now! You can also get them as matching personal checks.